Vimedix is an innovative ultrasound training platform that allows trainees to learn ultrasound more easily and more quickly without any risk to actual patients. The simulator consists of a realistic manikin, simulated ultrasound probes and a software platform that provides modular instructional content and an extensive pathology library. 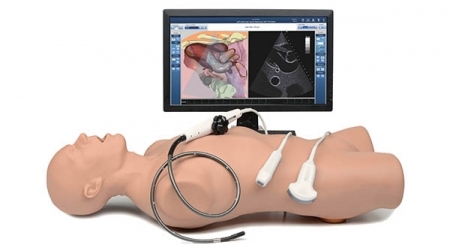 By leveraging CAE Healthcare’s innovative technology and expertise in simulation, learning to use Ultrasound has never been more easy and engaging.